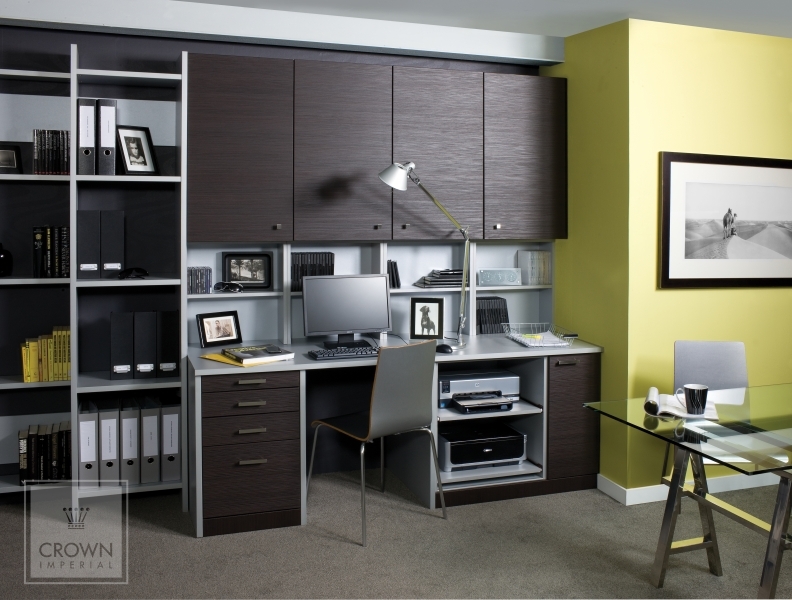 Crown LifeSpace home office furniture offers tailored living, with shelving and storage to meet the versatile expectations of modern life. We all have different demands from our home and now you can design your home office furniture around the way you live. LifeSpace works throughout every room in the home. The furniture fits around the way you live, whether you are a large family with individual needs or a city living professional with limited space. Crown LifeSpace offers a solution for everyone. 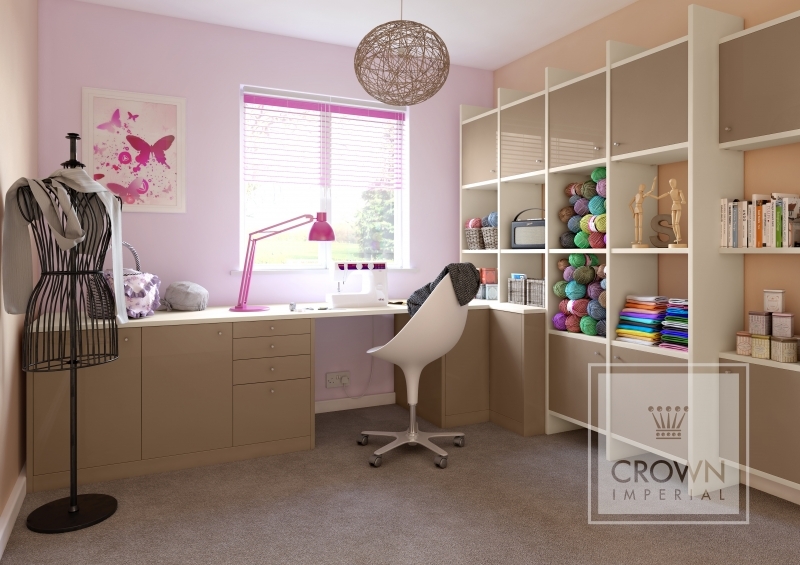 Crown’s LifeSpace has been designed to provide clever storage throughout the home. The flexibility of this furniture allows your imagination to create and maximise the available space in each room for the ultimate efficiency in storage. 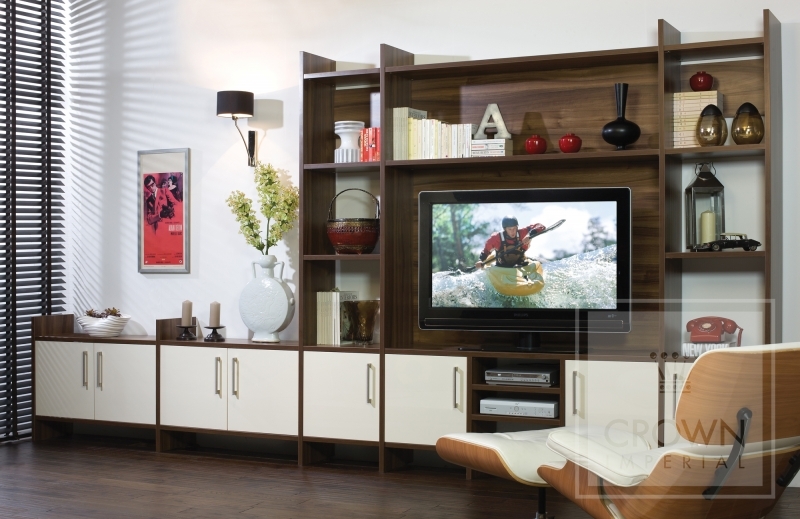 This fantastic range of storage and shelving innovations will achieve your dream LifeSpace. Exceptional features such as built in filing drawers, bi-fold cabinets and modular shelving are there to meet your endless storage needs. 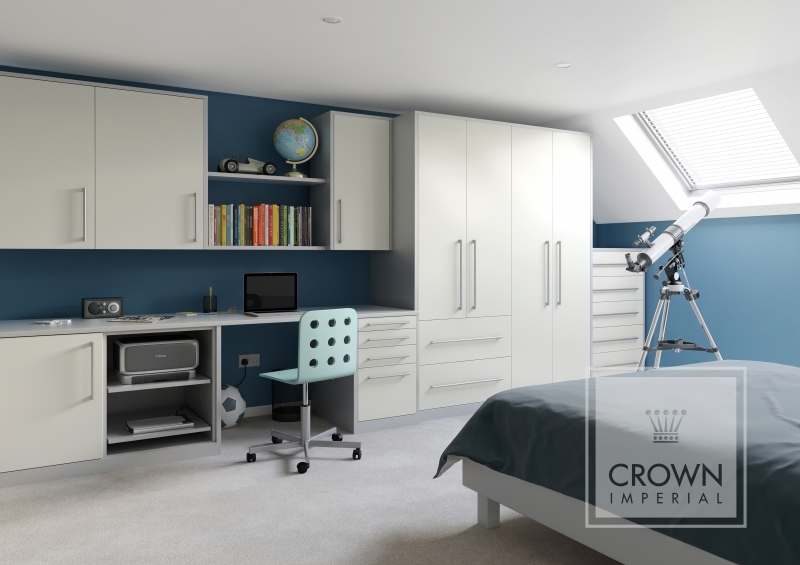 Crown LifeSpace offers over 30 colour and style options to suit every home and individual taste. Traditional finishes are available in a variety of plain colours and wood effects such as Beech, Vintage Pear And Walnut. You might choose Vintage Pear to create a modern home office with strong lines, or for a softer appeal, you might choose walnut to complement the deep tones of a luxurious colour scheme. You will also love the creative possibilities that come with the Rialto High Gloss finish. Available in 18 colours, you can choose subtle Oyster or calming Sky Blue, or if you want to make a bigger impact, why not opt for the striking Orange or Metallic Gold. With endless opportunities to create your own look, Crown LifeSpace offers the option to mix & match between the wood effect finishes and Rialto High Gloss for an entirely individual look. 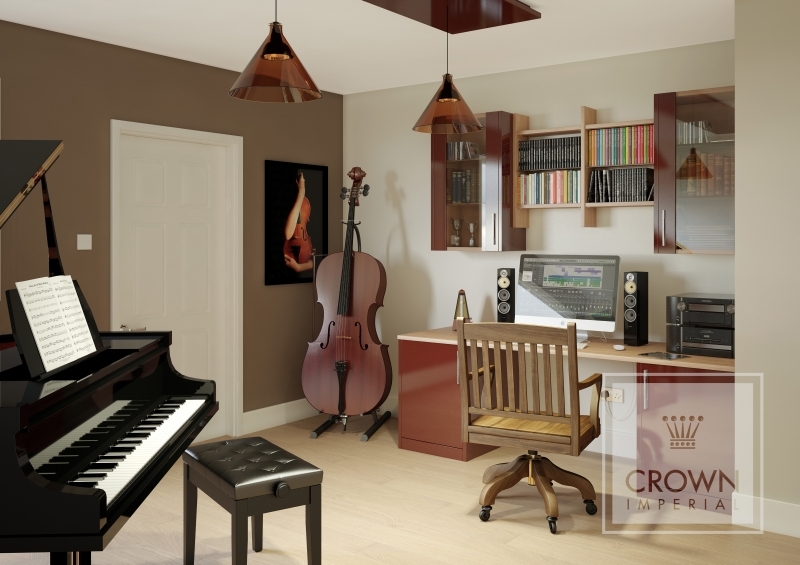 Crown LifeSpace not only looks impressive but it also designed to offer perfect functionality. Individual features include file drawers, bi-fold doors, double hanging file drawers, pull out shelving, moulded pencil trays and desktops. Mix and match the features and choose according to your lifestyle and storage needs. 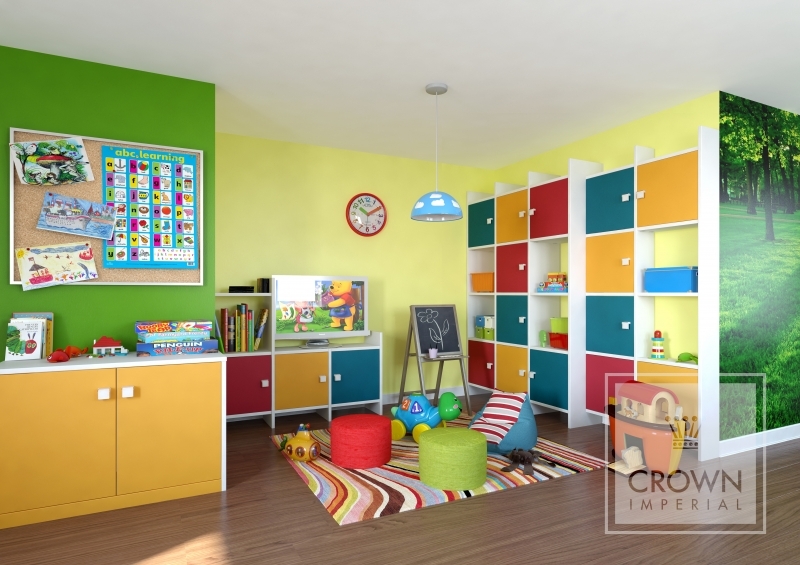 Crown LifeSpace offers a versatile shelving system with a series of options to choose from. You can have three heights and two depths for your shelves. In the same way, LifeSpace offers two options for shelf spacing which can be dedicated to suit the items you plan to store and display. As with all LifeSpace designs, your shelving will be individual to your taste and storage demands. You can choose from several colours and wood effects so don’t be afraid to mix & match to create a truly individual look. Glass shelves will act to maximise the shelf space and either coordinating or contrasting cupboard doors can be attached within the shelving system to create extra areas of concealed storage.